"Dirt Rally" is a departure for the long-running Codemasters franchise, with the game based around rallying instead of multiple driving disciplines. Like the original "Colin McRae Rally" games that slowly became the "Dirt" franchise, players are able to drive long and hazardous tracks set in forests and on hillsides, in a variety of racing conditions. Offering point-to-point races, hillclimbing courses, and rallycross circuits, "Dirt Rally" includes over 45 cars ranging from iconic vehicles seen in rallies in the 1980s to modern cars. Notable drivable vehicles from the list include the Mini Cooper S, the Lancia Delta S4, and the Peugeot 205 T16 Evo 2. Players can fine-tune each vehicle ahead of races to match their driving style and to best combat the road ahead, which includes Sweden's icy forests and mud-covered Welsh tracks. Races feature sharp corners and hairpin bends, with tracks and roads ranging from asphalt to loose gravel and mud, and weather effects including fog, rain, and snow can make the courses even more treacherous. Feral has made "Dirt Rally" for macOS available in the Feral Store and Steam, priced at $59.99, with a Mac App Store release expected in the near future for $44.99. 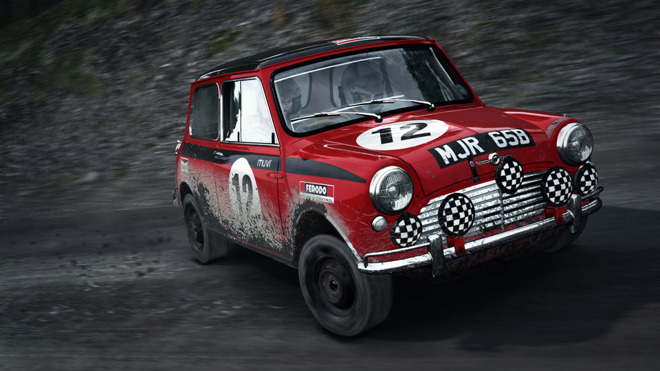 The release of "Dirt Rally" on macOS arrives almost two years after it originally shipped on Windows in December 2015, following a period in Steam's Early Access program, before being ported to the PlayStation 4 and Xbox One consoles in April 2016. The macOS version, which takes advantage of Apple's Metal 2 graphics API, is available on Steam alongside Feral's earlier Linux port of the game, and the Windows original. Feral advises the minimum system requirements include a Mac with an Intel Core i3 processor clocked at 1.8GHz, 8 gigabytes of RAM, 48 gigabytes of storage, macOS 10.13, and either Nvidia GeForce 650 1GB, AMD Radeon R9 290M 2GB, or Intel HD4000 graphics. While it can be played with a keyboard, it is recommended that players use a gamepad or a driving wheel accessory. It is also advised that, while "Dirt Rally" can run on all MacBook Airs released since mid-2012 with a lower-powered processor and all MacBooks released since early 2016, Feral claims they "do not consistently meet the standards required for official support."